Don't miss another issue with our hassle-free, automatically recurring subscriptions. You will be charged every month or year depending on your selection. Cancel anytime by contacting us at numismedia@yahoo.com or log in to your PayPal account*. 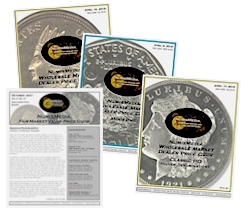 The Monthly covers the most traded series with a Fair Market Value determination for a properly graded coin. 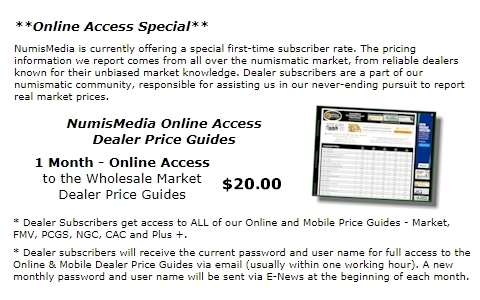 Collector Subscribers also gain online access to FMV, CAC and Plus+�Prices. 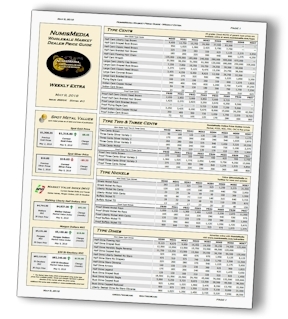 The Weekly Wholesale Market Dealer Price Guides (three alternating weekly publications) represent dealer trading levels for properly graded sight-seen coins. 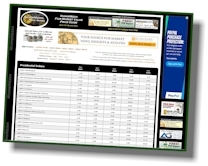 Dealer Subscribers also get full access to ALL of our Online and Mobile Price Guides: Market, FMV, PCGS, NGC, CAC and Plus+�Prices. The Permanent Personal Password (PPP) $150 yearly recurring subscription includes a continuous username and password for full access to all of our Online and Mobile Price Guides. PPP subscribers will receive their username and password via email (usually within 1-2 working hours). The PPP username and password will be assigned but can be changed by replying to the reception email.